VOLTAS ALL STAR AC DEALER COOLING CARE IN POOTH KALAN SPLIT , SALE & SERVICE IN DELHI NCR 9910885865-7210185865 Cooling Care Company providing best price in top split ac dealer if you are looking for your home & office , shops, show rooms kothi, hotels Voltas launches next-generation 'All Star' ACs, All-Weather Smart ACs, a Voltas reasserted its brand leadership in room ACs with the launch of its new All Star AC range, with the core value proposition of Run 2 ACs at the cost of 1. Its various features and benefits include • its steady cool compressor which yields uniform cooling, for greater energy-efficiency resulting in more savings for consumers • extremely quiet operation • high ambient cooling • and advanced air purifier. 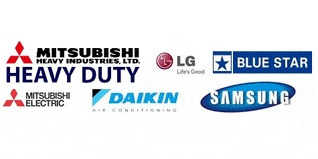 VOLTAS OPERATION FROM ANYWHERE ALL STAR AC DEALER COOLING CARE IN SPLIT , SALE & SERVICE 9910885865-7210185865 Voltas launches new range of ‘All Weather’ air conditioners India’s most enduring AC brand builds on its 2012 market leadership, while expanding its national retail footprint. Voltas Limited, India's leading air conditioning and engineering solutions provider, today introduced its new and powerful range of ‘All Weather’ air conditioners tailored specifically for varied climatic conditions across the country, all around the year. The new range of air conditioners now offers a brand new Insta–Cool Compressor and a host of new and improved features, and is equipped to deal with extreme weather patterns, ranging from peak summers to chilling winters.